Lucius Septimius Bassianus (April 4, 188 – April 8, 217), commonly known as Caracalla, was a Black Roman Emperor who ruled from 211 to 217. 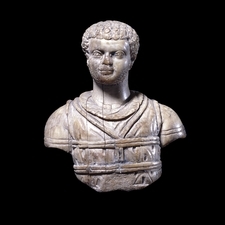 Caracalla was the eldest son of Septimius Severus, the first black African-born Emperor of Rome. But before Septimius Severus, there had been other Roman-born black Emperors of Rome. This story of the other black emperors of Rome will be explored in another write-up, but for now we focus on Caracalla. 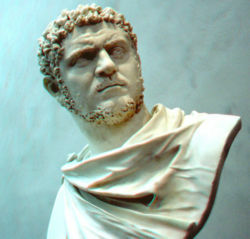 Unlike his father Septimius Severus, Caracalla was born and raised in Italy. After the death of his father, he ruled jointly with his younger brother Geta until the latter’s death in 211. Caracalla’s reign was notable for the Constitutio Antoniniana, granting Roman citizenship to freemen throughout the Roman Empire. That act laid a foundation for a peaceful multi-ethnic, multi-cultural Empire that Rome was to become. Caracalla was mean towards the military incursions of the Goths, the Parthians and the Tartars, and he took brutal and extreme steps to suppress those invaders from Turkemenistan that were sorely troubling the cohesion of the Roman state. A modern-day British historian Edward Gibbon, a descendant of the Goths, referred to him as, “the common enemy of mankind” because of the massacres he authorized in various parts of the empire. In AD 213, Caracalla went north to the German frontier and subdued the Alamanni tribesmen who were causing trouble in the Agri Decumates. Due to that feat the Senate conferred upon him the title of “Germanicus Maximus”. In AD 216, Caracalla took on the Parthians, a related tribe of the Goths, (the Parthians are the ancestors of the modern day Farsi-Iranians) who were causing problems on the southernmost flank of the empire. He tricked the Parthians into believing that he accepted a marriage and peace proposal, but then launched a series of blistering attacks on the Parthians when their guards were down. The thereafter ongoing conflict and skirmishes became known as the Parthian war of Caracalla. The baths of Caracalla were the largest public baths ever built in ancient Rome. To put it in historical perspective, the central room of the baths was larger than St. Peter’s Basilica. It could easily accommodate over 2,000 Roman citizens. The bath house opened in 216, complete with libraries, private rooms and outdoor tracks. Caracalla ordered the building of those baths that are named in his honour. Caracalla was assasinated by his body-guard while travelling from Edessa to continue the war against Parthian. He died on April 8, AD 217. It is important that Africans should remember and celebrate Caracalla and his family line, i.e. 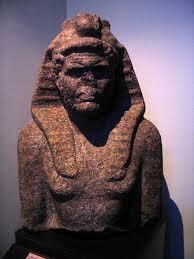 the Severan Dynasty, because as black Africans, they were us and we are them. By the dint of their heritage, they were part of our legacy, and their attainments represented part of our unfolding tale of greatness, of towering historical achievements, of courage, regency and inimitable genius. The descendants of the Goths who conquered Rome, and now control historical narratives, would want you to believe that they were the real Romans. Through centuries of selective narration and faking of historical artefacts, they have largely succeeded in hiding the central role of the Africans in the defunct Roman empire. They hide the facts that the Goths and the Parthians (the ancestors of the present day Germans, Russians, British, Spanish, Italians, and Iranians…the Aryans!!!) were the mortal enemies of the dark Ibero-Maurisian Romans, Greeks, Egyptians, Libyans, and Numidians, Mauritanians, and Saharans, the original owners of western Europe. They promote a fake and false notion that Rome was a so-called white created civilization affiliated with their Gothic ancestry. But this is a lie! The memorials of Caracalla, Septimius Severus, Geta, Maximinus, and a long line of Black, Moorish, African Emperors of Rome reject this lie. We must revisit the Roman Empire and salvage the Black ancestors and Emperors that have been covered by the global western academic conspiracy. Again we chant, blessings on the memorial of the Severan Dynasty, they were the “naigre” Emperors of Rome, from Africa. We will be meeting more Black Roman Emperors in the next series. Thank you for this article. I am white, myself, but know that you were white. Racism is a sadly modern construct, designed at the advent of capitalism to demonise and dehumanise the people of the Americas. Before that? Black Emperors of Rome. Black European Knights. Black Saints. We must destroy this idea that Europe is ‘white’. “Black people”, to give them the name we hoisted upon them, helped build Europe from the first. Here in England, you came with the Romans, you helped us, you entered into our myths of King Arthur (Look up Sir Morien). You married into our Royal Family (Look up Queen Phillipa.). We have done you a disservice by ignoring our history, and blinded ourselves, too. Bless you all. The wrongs will be righted one day, and we will return to the traditions of our ancestors. Thanku I hear so many whites that act completely offended if they hear any notion of certain people in history being African. doesn’t bother me if you accept irish slavery not indentured. Im not offended but I dislike groups rewriting history for an agends – so-called black Hebrew Israelites. The dude came around the time rome fell into perversion and ultimately fell kinda like the united states today. There was no great black population in europe and this dude rose to power solely due to the lack of morals and ethnic cohesion. The romans no longer exist and he helped bring that. RATHER YOU ACCEPT THE TRUTH OR NOT. Blacks did rule and will rule again, according to God’s word. THE Caucasians will fall under rulership of the Israelites again. Thank you for telling the truth on this matter. Tell the readers where they can read this in the Old Testament, which is actually the History of The Creator god & the children of Yisroel (who now call themselves Jew-ish). And, I wish to add, the one God of the Roman Empire, the God of Christanity is a combination of all the heathen gods – which how how pagan holiday i.e. Easter, Christmas, etc., came into being. Use common sense people – what does the Easter Bunny & egg hunts, or Santa Clause have to do with the birth of ‘Jesus’ of Nazareth??? Nothing! It is all a wicked design of the Roman Empire under the leadership of Constatine the great! Racism and racist, still very much alive. Who said anything about a great black population? They existed just like all others existed. You want to make it known that they were not great. History is life. Life exists. Good..Bad..Ugly. Sounds like your salty. Probably because He was more ruthless than Hitler, and didn’t use drugs to be that. Its impossible to rise to power with no power. Look up Mansa Musa He actually rulled a great black population. He is part of our history you can’t ignore that , why does it bother you so much, get over it. If blacks had no great role, or you believe their worthless then why change our history or leave things out in history classes. why change the color of people skin. We were we never talk about black Cesears and any great blacks over seas. What are you afraid of. Since your so racist read else were. Thank for your righteousness, I’m African and came here to check whether emperor Caracalla had also been changed to white and that’s what I found. But it’s nice to see that you are on the side of the right. God is the master of time has to put things right again. Only in this present day and age, it always begins at home… parents should always teach their young ones the RIGHT things in this wicked world, so the next generationa to come will not be brainwashed by this, IGNORAMUS & SICK minds! History will always teach the past. Lovely site and lovely, insightful commentary from both you and Saxon. Thank you, and I will enjoy sharing this site with others. Looking for info on Carbone, Carnecchia , Carminoni (not sure of spelling ~ pronouced car ~men ~noni with short a ). Thank you in advanced for your help & consideration. It is still a wonderful thing to learn and I will have to say on this date February 10, 2016 I’ve just learned another piece of history that I wasn’t aware of and for this I thank your site for assisting with educating us. nt to hide the truth of history from us huh huh!! I wonder why( I love this knowledge)?? Awesome information…this needs to be broadcast on a wider scale so that more people are aware of the TRUE nature of history!! Thank you for the illumination and revelation of truth which is a spirit that can not be crushed by any man or woman. Only when the truth is esteemed and held in reverence will healing and reconciliation with God take place. Hey u guys come on… Our unity is what’s really getting tested here now…God has shown us that we can all be rulers and ruled over…. The future of our eternity is in our hands, let’s not let some outside entity see a weakness in humanity and move in because we could endure much longer and harsher circumstances by cunning invaders…”dig”..? And All of the adjoining Islands. Dating back 50,000 years ago. For your consideration, the social and political facts, demonstrate that many of us have been socially, mentally, and economically-damaged by institutionalized, destructive, and misleading ‘ConnotiveLinguists’. This common and colonially instituted form of “linguistic fallacy” was invoked by European Colonial Inquisition Operatives that were and are still doing business at North America and in the Western Hemisphere, under various corporate entities, administered with prima facie deviation, and posed as persons and government. This social-engineering, supporting miseducation – corruption serves as a solid and established component of silent weapons for miseducation, directed to propagate peonage and forced servitude. Unfortunately, much damage has already been done through flawed education curriculum fostered among targeted classes of natural peoples in general. Nevertheless, we must reveal and expose some true and factual definitions and explanations to support counter-argument to some of the toxic misdirection and injurious sterotypes. LUMINANCE – is the state, the quality, or the condition of being luminous, which is also called, luminosity and relates to that quality of radiating or reflecting light. As an example, such Luminance may refer to a celestial body such as the Sun or Moon. A person of intellectual or moral eminence, and who is an inspiration to others, is sometimes referred to as a Luminary. ILLUMINATE- “to suppy with light”; to light up; to throw light on (a subject); to make lucid or clear; to enlightened, as with knowledge; to make radiant or illustrious; to become illuminated; enlightened. Illuminate also associates with a person who is or effects to be specifically enlightened. ILLUMUNATION -is the act or the quality of illuminating and cognately relates to the fact or the condition of a thing, a subject, or a person being illuminated. In philosophy or relative to some studies or discipline, a person may be deemed as being illuminated or having intellectual or spiritual enlightenment; which is also called, illuminance. Intelligence therefore commands that sterotypes and misinformation should not supersede facts, and that such a condition of illuminance should not be misrepresented as a condition, or as a social and political negative. Connotative Linguistics or Linquistic Fallacy, as a contrived social science, is a deliberately manipulated and flawed social engineering art form designed to cover-up proper cognition, or to distort the true origin and meanings of words. This practiced deviation should never be underestimated nor taken lightly and is to be distinguished from “Denotative Linguistics” or ‘Etymon Principles’ which are associated with, and conjoined with, the true Etymological meanings of words. Emphasis should be placed upon “Denotation” which support the ‘Etymon’ and preserves the proper orthographic application of words as would be dispensed and administered within the proper and honorable education. With the practice of presenting negating ‘Connotative Linguistics’ as a norm, the natural people are less prone to be suspicious of any deviant intent of the instructors or facilitators and are not likely to view their works as being veiled distortions within an institution. Many pseudo-education constructs have taken solid root, via a ‘Symboleaographical’ method of promoting quasi-education which has served the dumb-down purposes and intent of the European Colonists who have been falsely posing and impersonating as Americans. The suppressors of Aboriginal and Indigenous natural peoples were and are, enabled (by such deviant arts) to miseducate the targetef subjects by continuing to adhere to their focused and institutionalized mental, social, economical, and biological-genocidal agenda. Absolutely Beautiful!!! Breathtaking & Complete. There is no evidence Caracalla was black. This is just another example of Afrocentrist fantasy. This bust is in the British Museum and is of a charioteer although someone has suggested it is Caracalla. 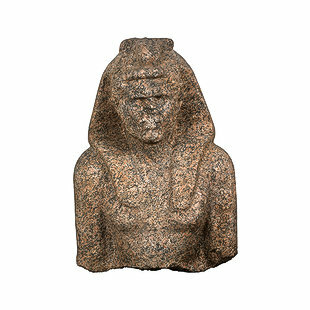 It looks most unlike the other busts of this Emperor so I woud say it is highly unlikely it is him. The Parthians were of Iranian ancestry. I have no problem with Caracalla or Septimius Severus being black. I do have a problem with the bloodthirsty power with which they reigned. Septimius Severus was the notorious Emperor that put to death Christians (most notably Vibina Perpetua and Felicitas from the famed diary of Perpetua) in the gladiator’s arena with wild animals to violently attack these two young mothers and also other Christians that would not reject Christ. The reason I do not and would not show them honor has nothing to do with their skin color, but everything to do with their inhimane treatment of others. I have been researching on the Black contribution to the Western world. All i know is that Black, White, Yellow or Red we are all human being! Awesome information long live the truth. I am not sure why you identify Caracalla as first black emperor rather than his father; the evidence for Severus’ Libyan ancestry is as solid as that for Julia Domna. There’s also his full brother Geta to consider. No Philip the so-called arab with his crisp hair?